SOME VOICES intrinsically command respect, others obedience, but as the powerful, deep growl boomed out there was only one emotion flooding over the shaking 12-year-old boy: pure fear. “What do you want?” Gripped with panic, he couldn’t move. The eerie shadow loomed ever larger behind the frosted glass in almost comic book proportions until it was too late to escape whatever wrath waited to be unleashed. The door was flung open, and the face behind the terror appeared. “Theresa? It’s just that kid you told me about.” As Roy Keane’s disarmingly warm grin beamed down at my outstretched autograph book, I wondered what all the fuss had been about. The theatrics of his approach had seemed entirely plausible given the public perception of his character, but instead here was a relaxed neighbour on his doorstep chatting to a young fan. “See? I’m not so bad am I?” With that he was gone. Roaring tyrant or inspiring leader? Aggressive hothead or driven talisman? 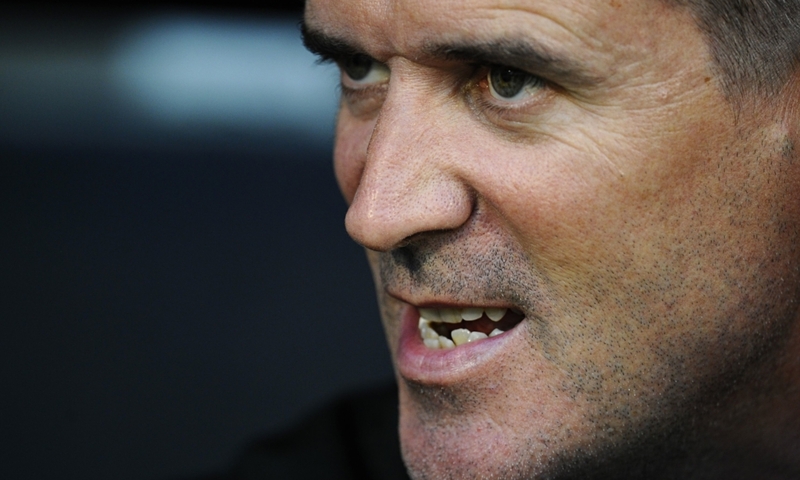 Dramatic is not a word that Keane would enjoy using to describe himself, but it would fit the path of his career. For many, the images of Roy Maurice Keane that endure are of the sinew-busting approaches to referees or him towering menacingly over fallen opponents. They fit the character that has been built up over time so easily – he’s an angry man, right? The pantomime villain that others hate but his followers love, if only because they are not facing him. Even when he took peaceful strolls with his beloved labrador Triggs in the maddening aftermath of the Saipan incident in 2002, the media broadcast the brooding intensity of his scowling face rather than the introspective family man just wishing for a moment with his thoughts. Often he would walk side by side with his canine companion down the road to the local golf course and wander beside the sweeping fairways as the chocolate-brown waters of the River Bollin rolled on by, a world away from the circus that he had become an integral part of, willingly or not. Therein lies the paradox of his success. A born winner, ruthlessly determined and free from the distractions of celebrity and an almost religiously private family man, but needing the grandest stage of all to feed his thriving potential. His infamous comment about the corporate atmosphere of fans eating prawn sandwiches showed a disdain for the glitz and glamour of the theatre in which he found himself, but without the very essence he was against he could never have achieved everything he had in the game. The difference between reality and perception is not one that seems to affect the Irishman, as long as he has been allowed to get on with what he does best. A few years after he had dramatically defied Mick McCarthy by walking out of Ireland’s 2002 World Cup training camp on the Pacific island of Saipan, he even watched a comedy musical named “I, Keano” that was written about the entire episode as it opened in Dublin’s theatres. The show was a firmly tongue-in-cheek retelling of how the Manchester United captain had stuck to his principles when faced with some shoddy preparation from the FAI – famously Ireland’s officials had failed to ensure training equipment arrived in a location that had no dedicated football pitch, so Keane offloaded his frustrations in an interview with The Sunday Independent and The Irish Times. Needless to say, the gruff Yorkshireman’s accusations of his captain faking injury in the qualifying playoff against Iran, as well as the public admonishment for the newspaper interview in front of the whole squad, did not see Keane retract his stance. Quite the opposite, in fact. Once again, the image of a furious Keane spitting forth aggression fits snuggly with the caricatured stereotype that the media have moulded over the years, despite missing the cause of the frustration. It is clear that he could have handled the matter more diplomatically, even by his own admission, but the driving force behind his reaction was a scarcely believable amateur attitude towards preparing for the biggest event in a decade, and for most players, in their entire career. When some observers suggest he could have learned to taper his anger in his role as a very public and influential figure, they ought to remember how he became a powerful man and player in the first place. This was the teenager from Cork who was initially rejected by English clubs, but would not sit down and shrug his shoulders; giving up was worse than any foul-mouthed rant in his eyes. Only by setting himself standards did he raise himself high enough to become the driving force behind the greatest club side in England or earn the respect of the two most uncompromising managers of all time. Their last ever league clash in 2005 epitomised the depths to which the battle was as much a mental struggle as a physical or tactical one. On his way back from the dressing room to collect his forgotten captain’s armband, Keane overheard Vieira threaten Gary Neville with a direct confrontation if he went near Robert Pires, and his switch flipped. “We’ll see you out there,” he snarled, fingers jabbing in the Frenchman’s direction. Psychology has always been central to his style, but whereas others in the game would use modern theories to direct and inspire them, Keane’s version was much simpler: never, ever, accept anything other than your best. Although the Glenn Hoddle-Eileen Drury school of faith healing was certainly not his bag, straight-talking, logical dialogue was. 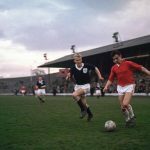 At Manchester United he would enjoy conversations, not always specifically about football, with sports psychologist Bill Beswick, who he later brought in to the set up at Sunderland when he made his managerial debut in the North East. Words like these were music to Keane’s ears. He would approach Beswick for advice about how to manage his own behaviour on the pitch, and instead of a highly technical of philosophical response, he would say, “your first job is to stay on the pitch for 90 minutes”. Intensity sometimes boiled over into unsavoury incidents, as it often does with those who live and play on the edge. When Alf-Inge Håland stood roaring obscenities at Keane as he lay stricken with a cruciate ligament injury that would keep him out of the game for a year, a challenge was laid down in his mind. Håland felt Keane had been trying to foul him in the tackle and showed no sympathy; this was not something to be passed over. Almost four years later in the Manchester derby, Keane launched his foot at the Norwegian’s right knee sending him flying in the air, as good as ending his opponent’s career. Did he regret it? After a long pregnant pause on camera, Keane answered no. 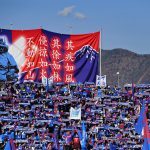 He admits that he went out with targeted aggression on the pitch – “I did go out to hurt people because that was my job” – but to him, it was all part of a system of measured retribution. The key difference is in the intent. “I never went out to injure a player. I had plenty of examples where lads would try and give me stick, my Irish background, the Irish gypsy – stupid talk, in the heat of the moment.” An attack on his honour, as he saw Håland’s comments, were different. He regrets other occasions – for instance when he led his team-mates surrounding Andy D’Urso haranguing the official for daring to make a call against them. The subsequent feeling that it had become a Manchester United trait – not that of other top clubs – to pressurise the referees into favouring them with borderline decisions was something that he dismissed. In one of his most iconic matches in the red of Manchester, Keane faced what could have been one of the most crushing moments of a player’s career, but showed his character in turning it into his most memorable and inspiring moments through sheer brute force of will. 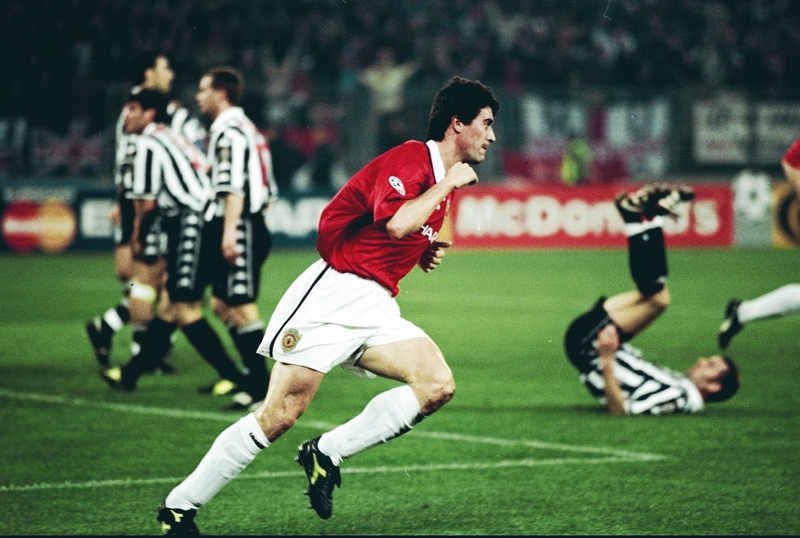 The sublime Juventus side of Edgar Davids, Zinedine Zidane and Paolo Montero had raced into a 3-1 aggregate lead in the second leg of the Champions League semi-final when Keane rose to head his side back into contention. Eight minutes later, however, he was booked for a late stretch to tackle Zidane, which would prevent him from playing in the final if his side got there. His subsequent refusal to wallow in the doldrums as he continued with renewed vigour to demand the most improbable of comeback victories is lauded today as a seismic act of heroism, but the man himself doesn’t see it that way. When presented with the quote from Sir Alex Ferguson on the ITV program in which his manager claimed he was “honoured to be associated with player” after that performance, the response was typically Keane. When he wasn’t captain of Manchester United stretching every sinew to the cause, when he was just another man walking his dog through the leafy suburbs, he was anything but the growling pit bull that many choose to remember him as. That petrified young boy standing nervously on his doorstep believed every powerfully terrifying image of the man, but what few people know about, or care to recall, is the softly spoken man who would stop for a cup of tea with the octogenarian dog walkers who shared his peaceful strolls across the hidden parks of Cheshire. One such route would take him past a low house surrounded by trees with a large garden overlooking the fifth tee at Hale Golf Club, a few hundred metres from his old front door where the media camped out to catch a shot of him with his beloved Triggs after Saipan. Manuel Pellegrini would sometimes invite his players for a round to relax, but Keane preferred his own company to unwind; perhaps less to philosophically question his place in the world but simply to avoid the unnecessary scramble of attention. The property used to belong to Lee Sharpe when he was a youngster coming through the system at Old Trafford around the time Keane arrived. Sharpe was a wildly entertaining winger with audacious ability who revelled in the adulation of the crowd – his snake-hips dance after scoring made thousands of Mancunian women go weak at the knees, while his rock star celebration as he grabbed the corner flag like a microphone on stage was typically flashy. You can bet Keane never acted the superstar after scoring for any of his clubs, but that isn’t to say he was just the senior dressing room general barking orders at the impudent upstarts. His world is simple: if people meet his high standards and show character, that’ll do just fine. Whereas Sir Alex Ferguson had a fractious relationship with David Beckham towards the end of the former England captain’s time at United, in part due to his glamorous lifestyle off the pitch, Keane couldn’t have cared less because his team-mate worked damn hard to be the best. A red mist of rage? Not a bit of it. 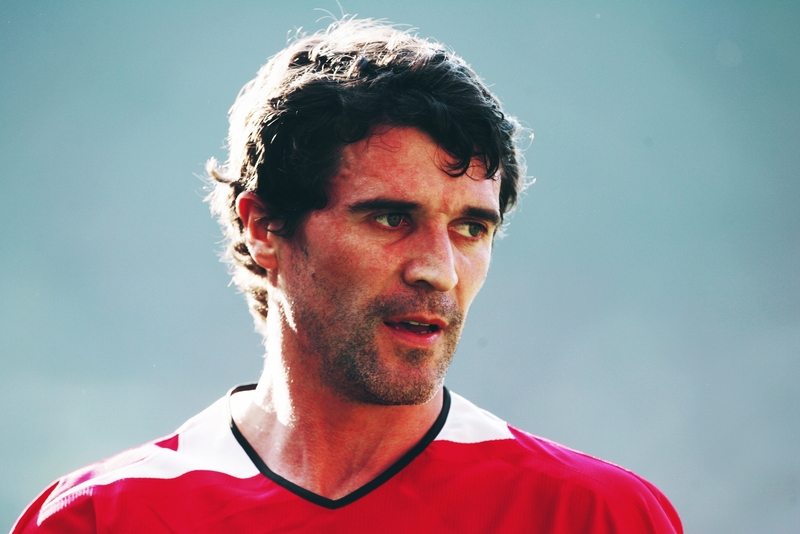 In the world of Roy Keane, everything was measured – but by his standards and not anybody else’s.